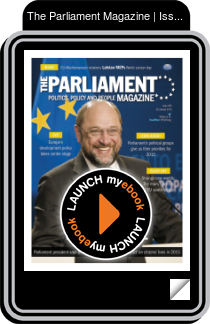 European parliament president Martin Schulz introduces our cover feature on a hopeful note, urging policymakers to learn from the challenges the EU faced in 2014 and use this new year as the opportunity to make a positive impact on citizens’ lives. He writes that "the elections [last May] must be considered as a last chance mandate for moderate European parties to achieve reforms". The German MEP adds that Europe must "settle the ideological dispute between politicians who preach austerity and those who advocate reckless spending", while working to strengthen the single market – "the crown jewel of the EU's successes". Read on to find out what he believes should be the focus of EU policy for the year ahead.